When most people think of orthodontics, their first thought tends to be of preteens or teenagers with a full set of braces. While this age group is the most common group that receives orthodontic treatment, many children far younger can benefit from early orthodontics. This type of orthodontics isn’t as well-known as braces, but the benefits of having your child go to the orthodontist for early treatment are well worth it if they are a good candidate for it. Most people get braces when they are in their teen years or when they are adults, but some children can benefit from other forms of orthodontics as early as age seven. While getting a set of braces straightens teeth to result in a better smile, early orthodontics, also known as phase one orthodontics, focuses on fixing problems with the jaw. Some children have issues with the jaw that, if left unchecked, can make future treatment far more difficult and invasive. 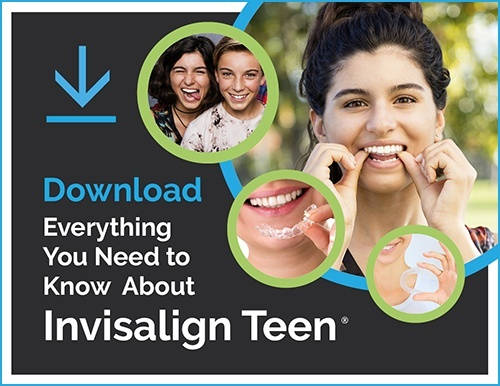 These issues can include misalignment – such as a severe underbite, overbite, or crossbite – or malocclusions, where the top and lower jaws are poorly proportioned in relation to each other. If these issues aren’t corrected early on in life, they could require long, intensive treatment in the future, maybe even surgery. Issues with the jaw can be caused by a number of different factors. The most common reason your child may need early orthodontics is due to genetic conditions they inherited. Other factors that can come into play include injuries to the mouth or bad habits such as regular thumb-sucking past age five. That being said, it’s absolutely worth it to bring your child into Milnor Orthodontics at around age seven to have an assessment to see if they would benefit from a phase-one treatment, especially if you notice certain symptoms. One easy sign to spot is whether or not your child has lost their baby teeth. Most children lose their baby teeth starting at about age five. If your child doesn’t have any loose teeth by age six or if they began losing their teeth very early, it could be a sign there is something with their jaw that needs fixing. If your child has difficulty chewing their food on a regular basis, this can also be a sign that they need early orthodontics. If your child has difficulty breathing through their nose and tends to always breathe through their mouth, it can be a sign of problems deep within the jaw that need to be addressed. Certain speech impediments can also be explained by problems with jaw misalignment or shape. After your child undergoes early orthodontic treatment, you could notice that their speech impediment stops. Other issues can be spotted simply by looking at their teeth. You may notice that your child’s teeth are protruding outwards, have very large gaps, or are obviously crowded. Any of these signs could point to your child possibly needing early intervention to avoid costly treatment in the future. Many orthodontists, including our office, provide free periodic evaluations for children so any early orthodontic issues can be caught and treated.